Recently I was visiting a customer on site when they mentioned they felt like they were not getting accurate information from their Cisco Catalyst 4510. Upon investigation, their flow record, monitor, and exporter all looked correct. 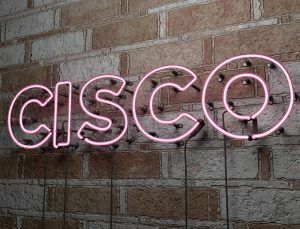 Puzzled, my colleague and I took a look at Cisco’s website and found some interesting information regarding the configuration. What Flow Data Can I Get From the Catalyst? The Catalyst 4500 series switch supports ingress flow statistics collection for switched and routed traffic; however, it does not support flexible NetFlow on egress traffic. Flow collection is also supported on multiple targets; these targets can either be on the VSS active or the VSS standby. It is important to note that there is no difference in monitoring between SUP-7E and 8-E, but 7E, 8E, 7L-E, and Catalyst 4500X do not support predefined records like traditional routers and flow-based samplers. If you’d like to read about the other caveats for this configuration you can go to this link on Cisco’s website. After reading the caveats and requirements, this seems like a pretty standard flexible Netflow configuration. So what’s different? On VLAN interfaces, when you use the interface option with CoS, ToS, TTL, or packet length options, the system will display inaccurate results for the input field. That’s a pretty important piece of information, especially if you’re monitoring VLANs! So What Is the Best Configuration to Use? After some experimentation and configuring a switch to not use the aforementioned fields, we came up with a flow record that gave us the best results. There you have it! You can also look at this configuration from Cisco to see what best fits your environment. Now that you have your device configured, give Scrutinizer a try and see how valuable your flow data really is. Joanna is a technical support specialist here at Plixer. During the work day, Joanna works with customers from all over the world to resolve their tech issues to assure that they are working with the latest and greatest that Plixer has to offer. Joanna may have a Bachelor of Fine Arts in History from the University of Southern Maine but that hasn't slowed her passion for tech and working with it hands on. Outside of work she enjoys video games, living history, gardening, crafting and working with her second home The Brick Store Museum here in Kennebunk.